Cobalt blue bottles are elegant and durable. 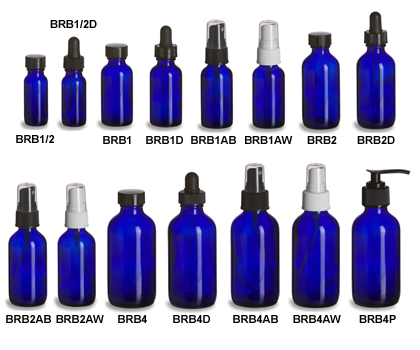 The Boston round style is ideal for essential oils, natural cosmetics, food products, and extracts. Available with phenolic caps, silver caps, droppers, sprayers and pumps, all prices include the bottle and applicable closure.